Eurolanche has a new sister website. 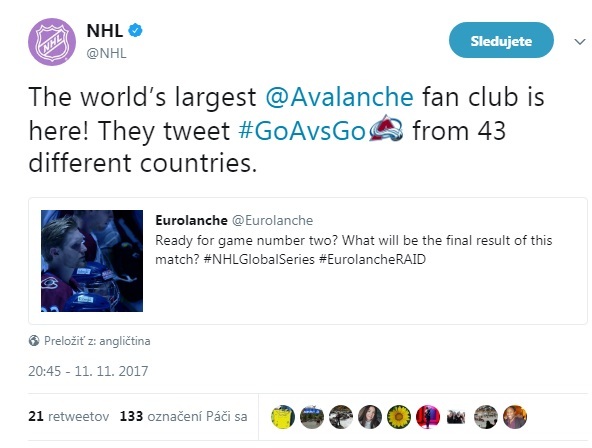 The first European Colorado Avalanche Fan Club and the biggest NHL team Fan Club, Eurolanche, has launched its new sister website StadiumSeries.Eurolanche.com. “The name itself already hints that it’s going to be a website devoted to one of the most important events in Avalanche history. It’s a special occasion that’s going to be linked with the franchise forever. That’s why we wanted to dedicate a whole website to this event, which will afterwards serve as a complex memory of an unforgettable experience,” said Fan Club president David Puchovsky. StadiumSeries.Eurolanche.com will feature content both in English and Slovak. 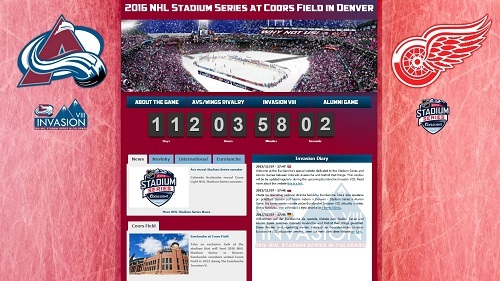 Fans will find up-to-date information, including internet’s most extensive overview of the rivalry between the Colorado Avalanche and the Detroit Red Wings, the history of outdoor games, every statistic concerning the game at Coors Field and an extensive report, along with both teams’ lineups and everything important concerning the Alumni Game. Aside from up-to-date articles and information in a variety of languages, there will also be exclusive photo reports, videos, various competitions for fan club members, or news from the Eurolanche Invasion VIII, the Fan Club’s eighth trip to Denver. “Twelve members from five European countries will make the trip this season, which is a record. The main goal is to attend the Alumni and Stadium Series Game. Thanks to the new website, we will be able to bring our other members and fans firsthand reports directly from Coors Field. It’s an honor that we can attend this even,” said Puchovsky, adding that before the event, the website will mostly have an informative function and will serve as a kind of memorial after the event, with every written or multimedia content in one place. StadiumSeries.Eurolanche.com is the second sister website in Eurolanche’s portfolio. The first is the long-standing Invasion.Eurolanche.com website. Through an easy and comprehensive overview, the website offers important information about every previous Eurolanche Invasions, including journals, summaries, a list of participants, FAQ and photo/video galleries.